If you've admired the stationery shelves at the Tate Modern or V&A, chances are you've seen the work of Bristol-based U Studio (formerly Urban Graphic). 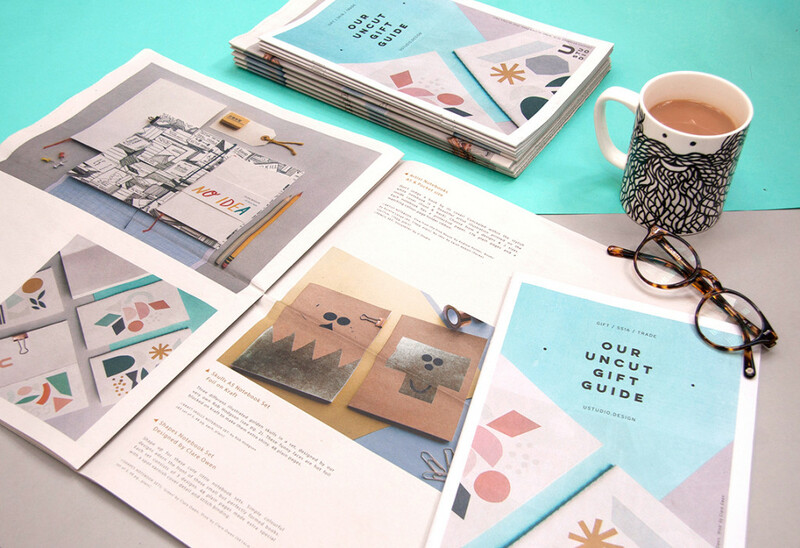 The publisher and purveyor of lovely printed goods also supplies Paperchase, Waterstones, Urban Outfitters and many more. 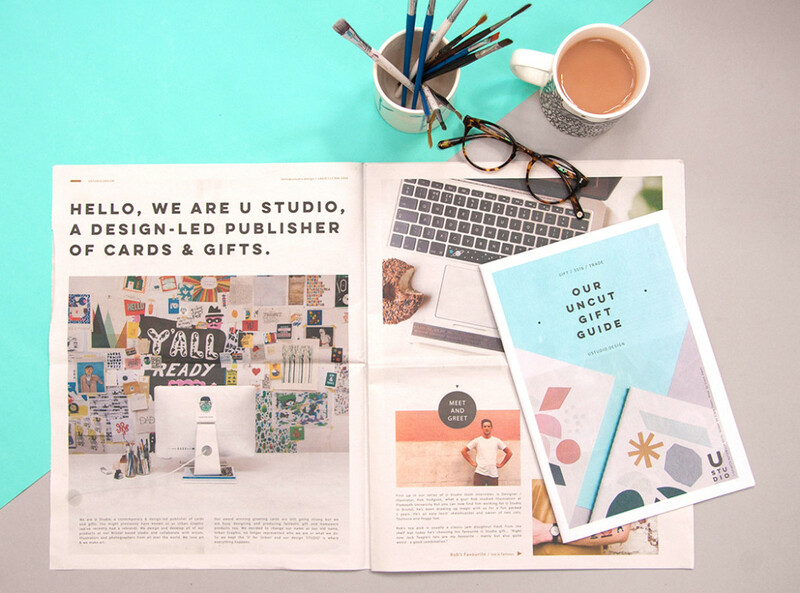 Since 2013, they've been steadily building a design-led portfolio of greeting cards and, more recently, homewares – so much so that they needed two newspapers to show everything off. 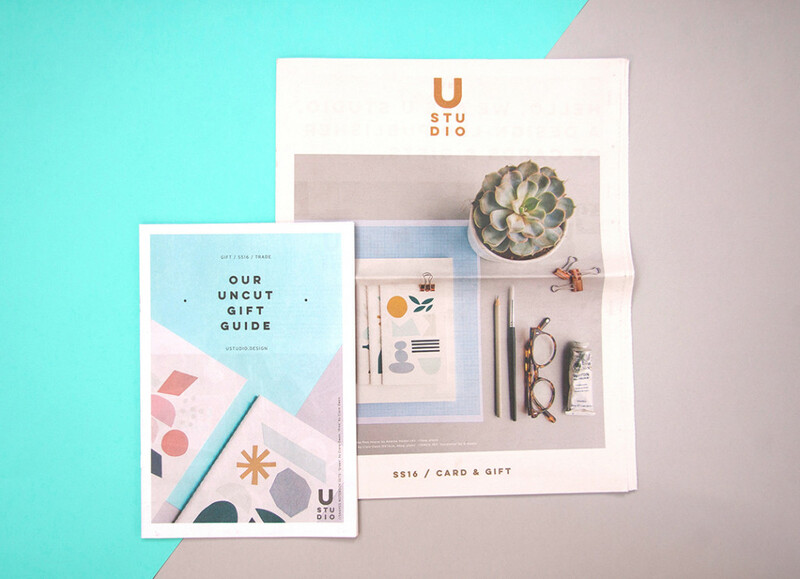 They recently printed a traditional mini gift guide alongside a traditional tabloid catalogue. The mini is perfect for seeing their wide range of products at a glance; the tabloid has more space for big photos and interviews with some of their very talented collaborators. So nice, you'll want to read 'em twice. Thanks for printing with us! Learn more about our traditional mini and traditional tabloid newspapers. Printed on real high-speed newspaper presses. Traditional printing means vibrant colours and great value – the more you print, the cheaper it gets.